My first stop was a pier near Palembang’s iconic Ampera Bridge, which connects the city across the historically important Musi River in a fashion resembling San Francisco’s Golden Gate Bridge (locals won’t let you forget the comparison). Upon arrival, a quartet of twenty-somethings approached me and my ojek driver and asked if we’d like to join them on a trip down the river to Kemaro Island, a somewhat touristy home to a legend-making Buddhist temple and a place where Chinese Indonesians still go to pray during Chinese New Year festivities. “Kami sudah bayar,” the strangers insisted to my suspicious driver. We’ve already paid. He relented and after locking up his motorbike at his aunt’s nearby shack, we shoved off. 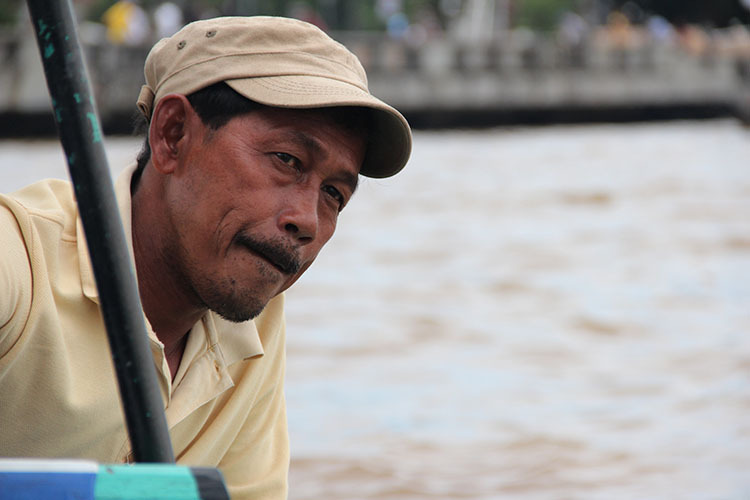 Our helmsman attentively guides his small passenger boat across the gentle waves of the Musi River. Two of my newly acquainted friends share a smile while sitting at the front of our single-engine boat. The couple split time between taking in the view around the river and snapping photos together. 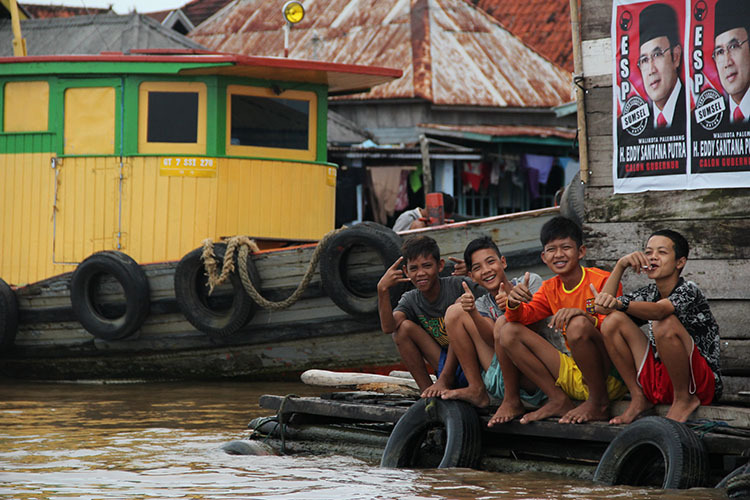 Teenage boys pose for the camera outside a small wooden house floating near the banks of the Musi River. 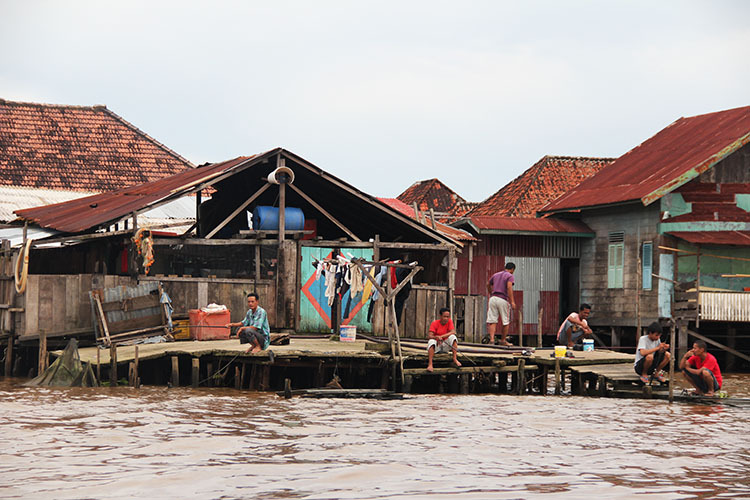 Men pass the time along the waterfront of the Musi River. Just a few minutes into our journey, we stopped briefly at a wooden shack along the shallow banks of the river to refill our boat’s gas tank. Before a man came outside the house to sell us some petrol, his little boy stared me down calmly, coolly, as if sizing me — an obvious foreigner — up. The fierceness in his eyes, seemingly devoid of innocence, belied his young age. 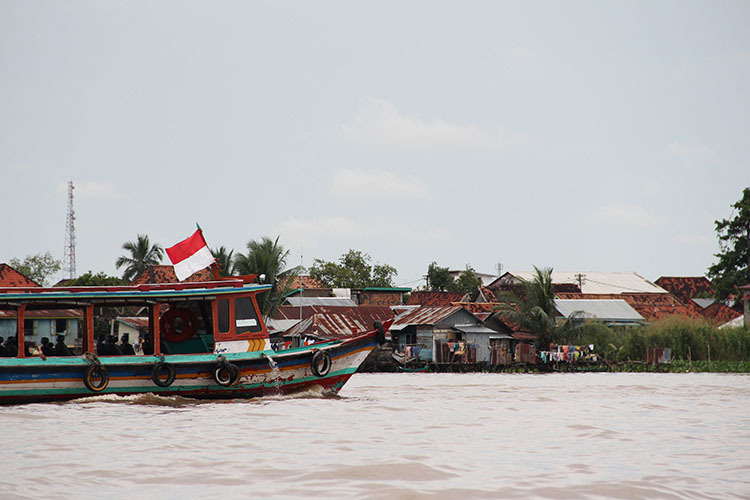 A rickety passenger boat proudly bearing Indonesia’s national flag — affectionately known as the “merah-putih” to natives — cruises down the Musi River. 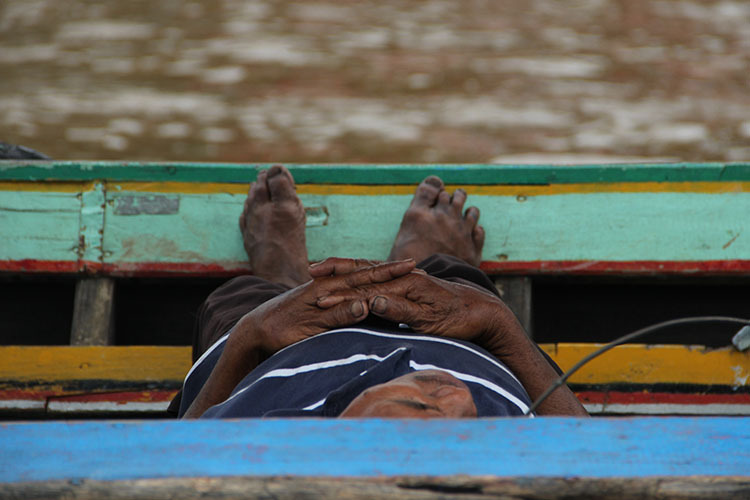 A helmsman takes a nap inside his boat resting idly at the small port attached to Kemaro Island. Any pictures from the Kemarau Island? I’ve lived in this city long enough, yet I’ve never been set my feet there.